Kanazawa is not too big city and easy to look around. All tourist attraction is within 3km from Kanazawa station. There is no train in the city but bus covers all touristic places. 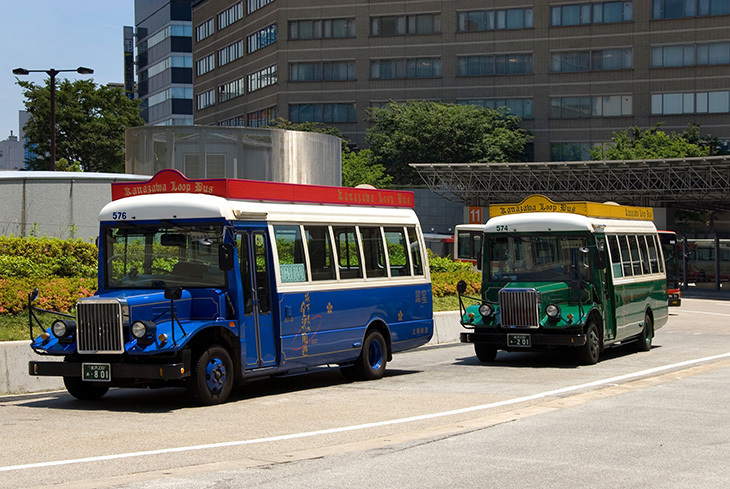 Kanazawa loop bus is convenient for tourists because it covers all tourists attractions. One day pass costs 500yen and you can take the bus as much as you want. You can purchase it at ticket office in Kanazawa station. You can also purchase the pass in the loop bus. Note that you cannot purchase it in a normal bus. There are two types bus – one is clockwise and another is counterclockwise.